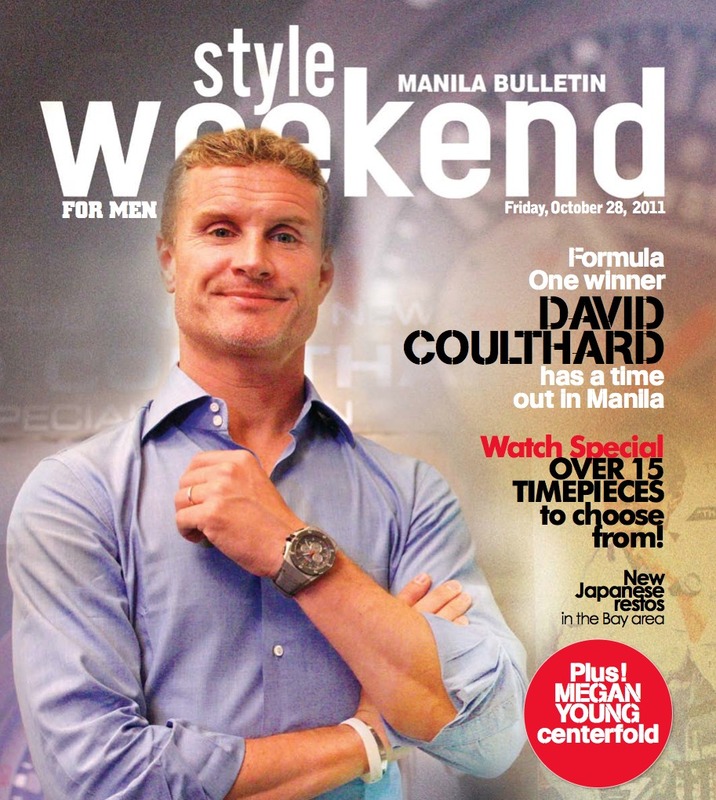 pls buy manila bulletin today (oct 28) for your free copy of style weekend for men (every last friday of the month)! on the cover: 13-time formula one winner david coulthard who was in manila for the launch of his watch for TW steel! photographed by ryan cruz at manila marriott hotel, interview by elbert cuenca. also in this issue: watch special, steve jobs day, the upcoming italian film festival, the cars of "in time," new japanese restos by the bay, megan young centerfold, and more!